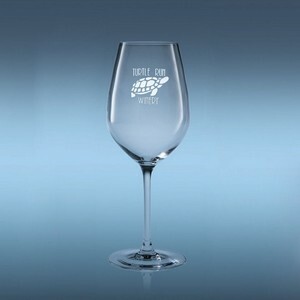 The best engraved wine glasses we know of, and it's made right here in the USA! These wineglasses are machine-blown by Arc International and are part of their Chef & Sommelier line. Domaine features unsurpassed clarity (98.5%), a gracefully pulled stem, thin walls, super-fine rims, and a ring when pinged like fine lead-crystal even though they are totally lead-free! 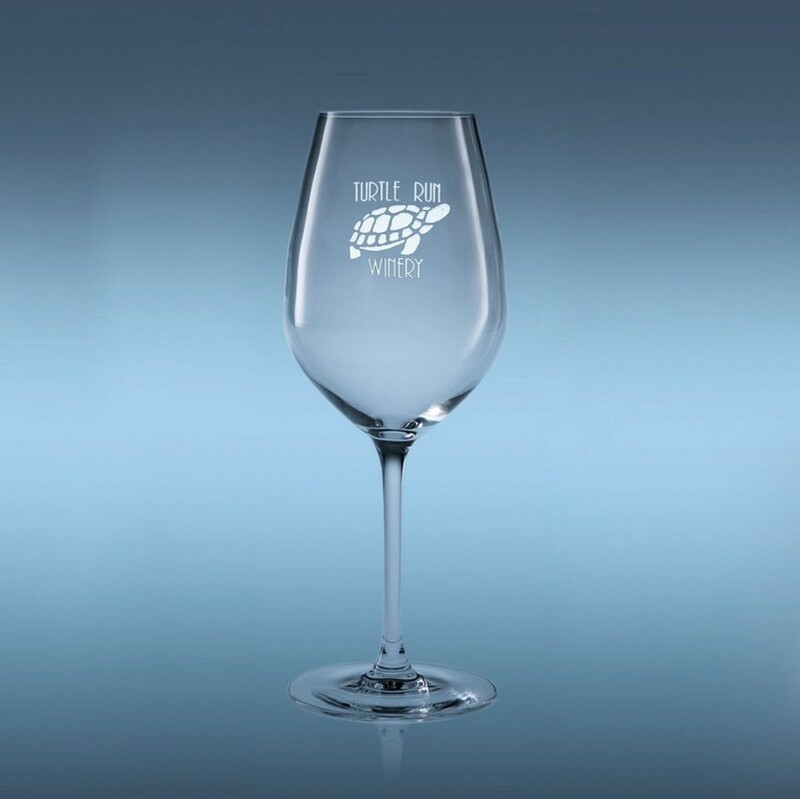 And best of all, they are the most break-resistant wineglasses on the market, meaning they are dishwasher-safe (providing your dishwasher has ample shelf height and is not too crowded). Each has the manufacturers C&S brand subtly etched on the foot. 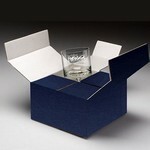 Sets of four come in the manufacturers elegant 4-color gift box explaining product attributes. Sets of two are packaged in our standard blue gift box. Incredible stemware! Incredible value!